Anyone who’s been playing World of Warcraft recently has probably noticed that dungeon leveling is getting characters to level 85 faster than ever before. 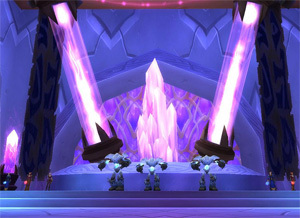 However, there is one aspect of dungeon leveling that should not be overlooked. Dungeon quests are an important part of leveling with the dungeon finder, and sometimes you level so quickly that it’s easy to forget about them. However, there are plenty of reasons you should make an effort to complete your dungeon quests while you’re leveling with the dungeon finder. When you’re talking about completing dungeon quests, you’re really talking about a matter of convenience. It only makes sense to complete the quests for the dungeon you’re in while you’re soaking up all that experience from killing the mobs there. It’s like double timing your experience, giving you a nice amount of bonus experience after you turn in the dungeon quests. Also remember that completing a dungeon quest grants you twice the experience that a solo quest does. This is because Blizzard always considered the quests inside of the dungeons to be much more difficult, mainly because it was always so difficult to find a group before the dungeon finder came along. Another benefit from completing dungeon quests is that the gear and rewards you will receive are much better than what you get from solo quests. Of course the gear that drops from the bosses inside the dungeons is usually even better than the dungeon quest gear, but you won’t always win the rolls on those items. It is very helpful to have completed the quests from the dungeon so you have the opportunity for a gear upgrade even if you don’t win the rolls on any of the items that dropped inside the dungeon. Dungeon quests always used to be the ones that WoW players skipped over because they couldn’t find a group to run with them. But probably one of the reasons so many players still skip the quests that need to be completed inside the dungeons is because they simply can’t figure out where to pick them up. Most of the dungeon quests are available from quest givers in the zone where the entrance to the instance is located. Often these quests are inside of a nearby city, so it’s certainly worth a trip out to these areas to look for the dungeon quests. Often dungeon leveling takes you to the next level so quickly that you never end up going to get the flight points in many areas. Seeking out dungeon quests is a great way to motivate yourself to get those flight points because you never know when you might need them. Another way to pick up the quests inside the dungeons is by simply asking your other party members. If you are eligible for the quests, then anyone who already has the quests can share them with you. Sometimes players will even share without being asked, so always click “accept” if a quest pops up while you are in a dungeon.